1. 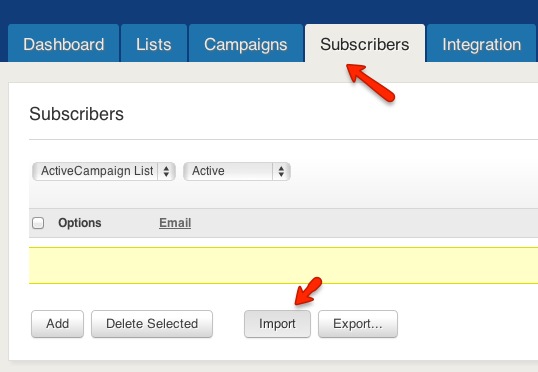 In ActiveCampaign, go to the "Subscribers" tab and select "Import" to bring up the integrations page. 2. 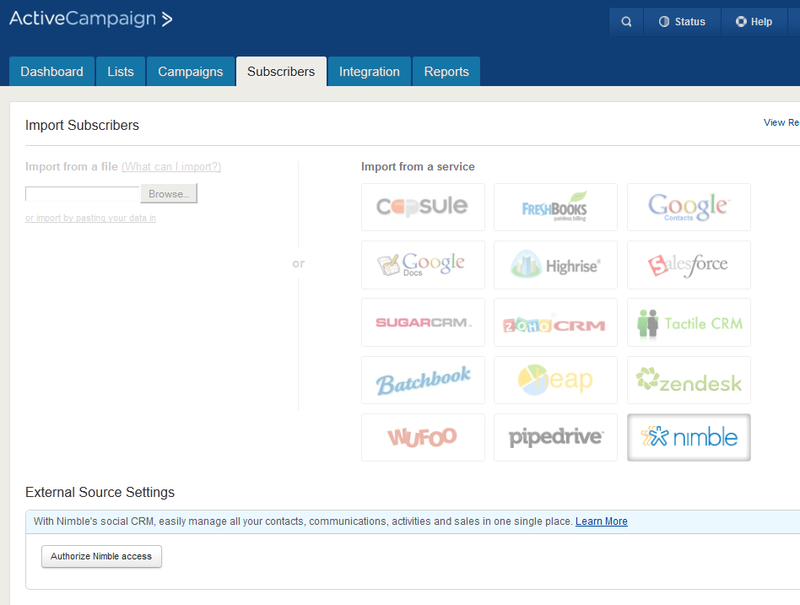 Choose the Nimble service from the Subscriber Import page, and click "Authorize Nimble access". 3. After you are authorized, choose an email list for your Nimble contacts, then click "Next". 4. 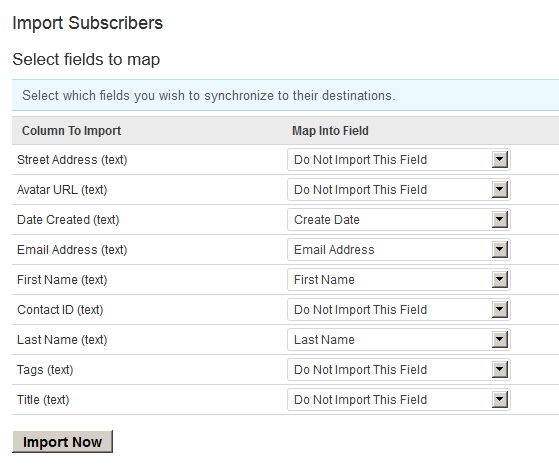 Next, you will have the option to select import filters to bring in specific fields from Nimble. 5. 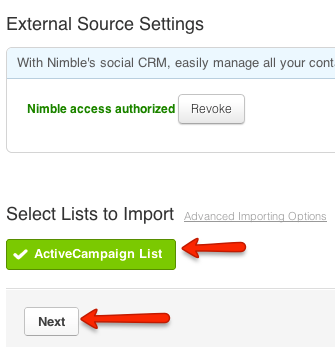 Map your Nimble data fields to your ActiveCampaign data fields, then click "Import Now" and your contacts will appear on your list in ActiveCampaign.